In this article we’ll explain how easy to put effects into the shot for this case. We use VSE Mask modifier to mask part of Michel body ( the character ). The idea is to put some sparks behind Michel, and another in front of him. First, we have a black and white image sequence version of Michel to be a mask. Then put some sparks and smoke footage into VSE. Make some changes to the parameter of footage, like changing Blend type to Add, so black color will disappear. 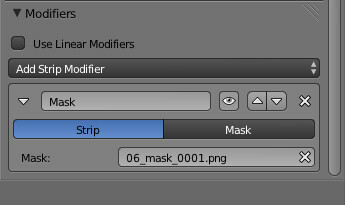 After that we ready to give some footage a mask modifier, then choose our black and white image sequence of Michel to be our mask object. Now it will appear just behind Michel. Another tips for make a fast smoke effects by animating offset on Clouds texture. What we need is just simple plane object in front of camera with a Blend and Clouds texture applied. 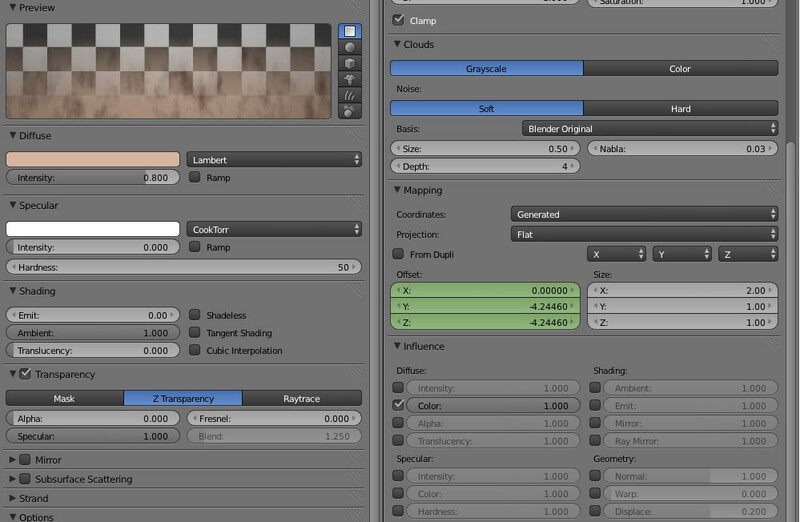 Blend texture is for cut the top portion of plane object, so it becomes transparent. Clouds texture is for smoke effects, with animating the offset of the texture we can get a nice looking smoke, but it always depends on situation of the shot, we can make it move very fast, or even slow. See short video here about how it works. How much slower would the rendering be if everything was done in the scene itself instead of added in post? I hope the guy that made the video isn’t the same guy that’s responsible for the sound/music editing, horrible choice of music for the videos! Too fast and too noisy. He looks more like a goat then a wolf. Mainly because of the head piece, eyes, and nose. I get that you still want the sheep qualities to show but they confuse the viewer. I believe they were going for something based on the idiom: “a wolf in sheep’s clothing”. It’s a nice twist on the sheep theme. I love the overall feel and the character’s implied personality. He looks like a very happy going wolf with his hat and all and suddenly he looks insecure and confused. I think the voice fits well too and.. what I like the most, is the teeth. I definitely want to see more of this!